A weekend of awareness into how our habits are formed, and why they then become our identity. An identity that is not the true self, will be the cause of much self sabotage and patterns that do not support our growth spiritually, mentally & physically. You will have the opportunity to create new, nurturing and promoting habits for a life free from those old non-supporting patterns. Acknowledge your divine true self and be in a constant of grace, which is a state of being. 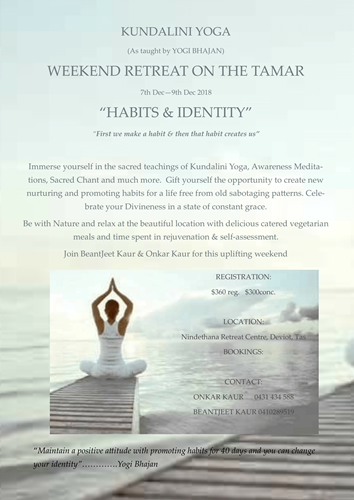 Kundalini Yoga, Awareness Meditations, Sacred Chanting and music, divine resonance and gong immersions, and much more, will complete this weekend of inner and self assessment. The price is all inclusive of accommodation and meals (except for Friday evening Dinner).Delicious food is provided. 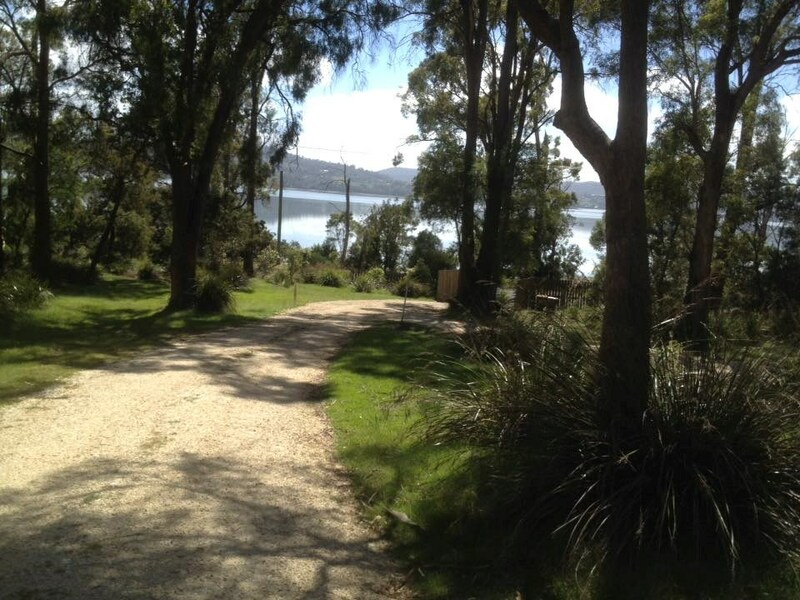 Vegetarian home-cooked catering set amongst the beautiful peaceful tranquillity of the Tamar Valley on the Tamar River. Teachers will be Beanjeet Kaur from Sydney & Onkar Kaur from Tasmania, both fully certified Kundalini Teachers.